“A room without books is like a body without a soul”- Marcus Tullius Cicero. 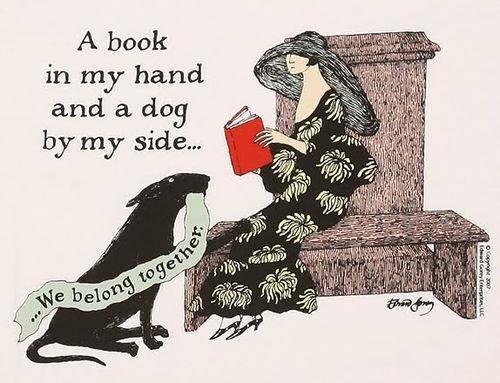 is a weekly meme hosted by Christine over at Bookishly Boisterous, where we post things that are on our minds. Head over there and check it out! Haven’t been able to join in for so long!! 1. I finally cave and bought my own Kindle. Teen daughter was not very keen on sharing any longer, and I cracked my iPad trying to kill a fly. I had about 5 ebooks waiting to be reviewed, so I gave in and bought a refurbed paperwhite. I REALLy wish I didn’t like it. 2. On the same topic, I actually got my mom to start using a Kindle. I gave her my daughter’s old one (while I was happy with my as yet uncracked iPad) and loaded tons of books on there for her. This was on Mother’s Day, and she just now read a book on it. Mind you, she reads about 4-6 books a week. She hates change. Now I know where I get it from. 3. 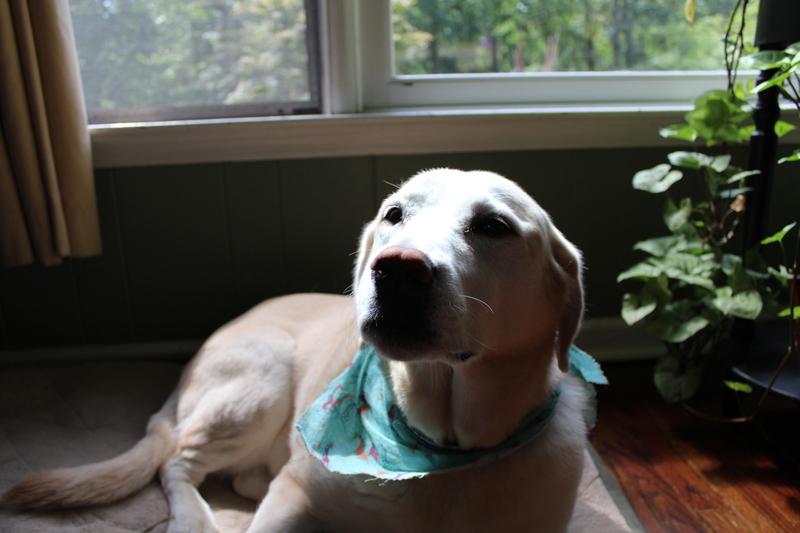 My yellow Lab,Katie, is getting on in years (11+) and has started showing signs of advanced arthritis in her back legs, so at the last vet visit, we put her on Glucosamine and Prevacox (an NSAID). Now she is a BAD BAD dog again. She ran away from us while we were vacationing in Maryland (sorry grumpy farmer who was not happy she came to visit) and just last night she got into a pretty nasty fight with a raccoon. No blood was drawn, but there was lots of hissing and plenty of hurt feelings. I think we were better off when she wasn’t so spry. This is the dog I thought Marley was based on, only a little worse behaved and not as cute. 4. 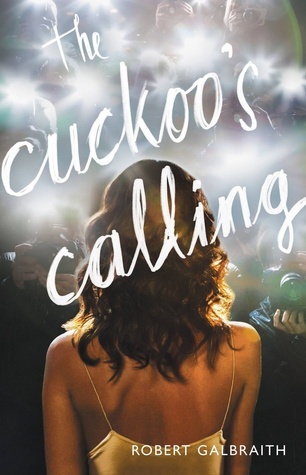 I know I am about a year behind, but I am finally reading The Cuckoo’s Calling and I love it! I had my doubts about Rowling’s future after The Casual Vacancy :-0, but this is great. What is the sequel called?? 5. I am thinking about signing up for Bout of Books this August. The dates work very much in my favor, as that is the week that practice starts for fall sports at the kids’ high school, and they are playing field hockey and football. Their practices are over 3 hours each and the school is about 45 minutes away, so I see myself with LOTS of time to kill. 6. I thought the polar vortex was only supposed to happen in the winter! Yesterday there high only reached 75 here, and it went down to 53 at night! This is supposed to be the hottest part of the summer. Upside is of course the lower electric bill-love open windows!! 7. 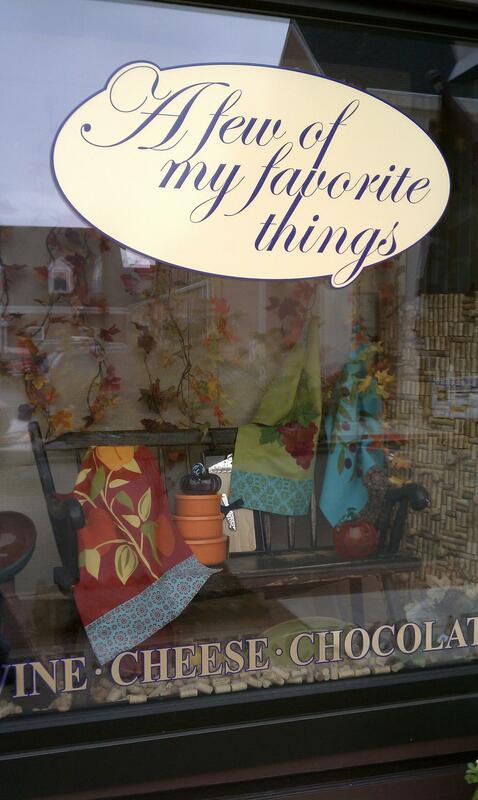 We recently vacationed in a small town in Maryland called Cambridge, where we happened upon a little shop called A Few of My Favorite Things. They sell wine, gourmet cheese, and gourmet chocolates. Heaven! We went back almost every day. Now if only they sold books too, I would never have left. A blog mainly dedicated to books and reading. Is A Dangerous Creature... Author Run Book Blog Featuring Reviews, Author and Character Interviews, Giveaways, Professional Beta Reading Service, and Expedited Book Reviews! Book reviews, recommendations, and literary lists to help you find your next great read. Dust off your library cards, it's about to get real. The world is yours for the reading. Eclectic Reader. Lover of beautiful book covers.